Welcome to Salt Lake Valley Chrysler Dodge Jeep Ram, your one-stop shop in the Salt Lake City area for your automotive needs from Chrysler, Dodge, Jeep, Ram, or one of our certified pre-owned vehicles. Accessible in the beautiful southern region near the heart of SLC from Provo to Ogden, we proudly serve all areas in the Salt Lake area including Park City, West Jordan, Sandy, Tooele, and more. We have a competitive selection of high-quality model vehicles like the new Chrysler 200, Dodge Challenger, Jeep Wrangler, and Ram 1500, finding the new and pre-owned car, truck, or SUV that suits your needs is easy with Salt Lake Valley Dealership. On top of our wide selection of Chrysler, Dodge, Jeep, and Ram vehicles, reasonable everyday low pricing, and knowledgeable courteous sales team, we are committed to bringing you exceptional customer service that will get you to the new or pre-owned Chrysler, Dodge, Jeep, or Ram vehicle of your choice. 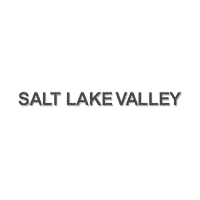 With Salt Lake Valley, we’re excited to put you in control and into the driver’s seat. Browse our new and pre-owned inventories and take a peek at our special offers and promotions for the best deal on savings for your buying needs. Don’t let bad or no credit keep you from the car of your dreams as we offer low financing options to help with a variety of financial situations. Looking for a quick quote on an estimate for your new Chrysler, Jeep, Dodge, or Ram? Browse through our simple online quick CarFinder form and we will begin the search for you!. Take a look at our current exclusive Chrysler, Dodge, Jeep, Ram specials in Salt Lake and find low APR financing options and leases on your choice of cars, SUVs, and trucks. Between our friendly and knowledgeable sales finance, technicians staff and family-owned atmosphere, we are your destination for all your Chrysler, Dodge, Jeep, and Ram needs. Our parts center houses a considerable inventory of high-quality genuine OEM parts ready to go in Salt Lake, UT. We offer genuine parts at our top-notch facility along with the best professionally certified technicians to keep your Chrysler, Dodge, Jeep or Ram in tip-top shape. Looking for even more savings in addition to our low prices? Take a peek at our Special Programs page for exclusive dealership offerings from Military and Veteran Discounts to New College Graduate specials on a variety of car buying and lease options or service and repair work–including wheel alignments, oil changes, and more. Take a stop and let us take care of you and your Chrysler, Dodge, Jeep, or Ram so that you can get back to the road with more ease and peace of mind. Call us at ​801-784-2787 and make your appointment today!